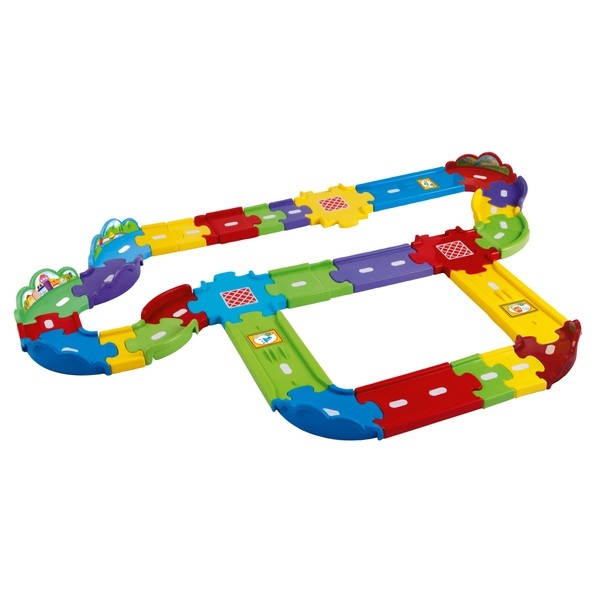 The possibilities are endless with the Toot-Toot Drivers Deluxe Track Set by VTech! With 30 interchangeable track pieces and multiple track configurations children can build an exciting circular track, or connect to other Toot-Toot Drivers play sets to expand their Toot-Toot Drivers world. The tracks feature 3 SmartPoint locations that trigger fun phrases, sounds and music when a Toot-Toot Drivers vehicle is driven over. Help your child to explore their creativity and imagination as they design their own Toot-Toot Drivers world! (SmartPoints work only with SmartPoint vehicles) Encourages independent play and discovery & exploration. EU Warning: Not suitable for children under the age of 12 months. Please remove all packaging attachments before giving this product to a child.